World Allergy Week is a global campaign of the World Allergy Organisation (WAO), which aims to raise awareness of the impact of allergy in our communities. AIFA and ASCIA, a WAO member society, support World Allergy Week each year, through a range of activities. In 2019 World Allergy Week ran from 7-13 April and the focus area was food allergy. The National Allergy Strategy is a partnership between ASCIA (Australasian Society of Clinical Immunology and Allergy) and A&AA (Allergy & Anaphylaxis Australia), working together with other stakeholders. • 100% of donations to AIFA directly fund allergy/immunology research grants. • 100% of AIFA grants are selected by allergy/immunology experts. • 100% of donations to AIFA are tax deductible. You can raise awareness of allergy through the annual AIFA World Allergy Week 'wear a spot of red' campaign during the month of April. 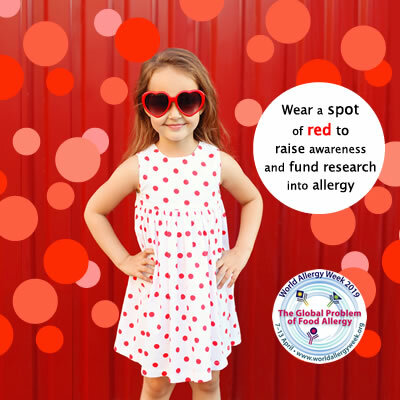 We encourage anyone who is affected by allergy to help raise awareness and funds to support research into allergy, by wearing a spot of red or holding an event in their home, school or workplace. 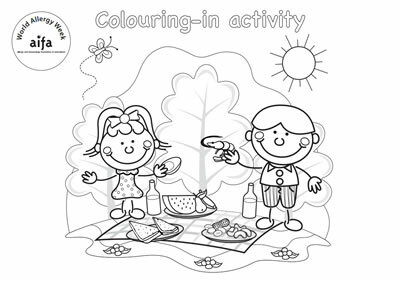 Some fun activities have been developed that can be used in preschools, early childhood education/care centres, classrooms or even at home. 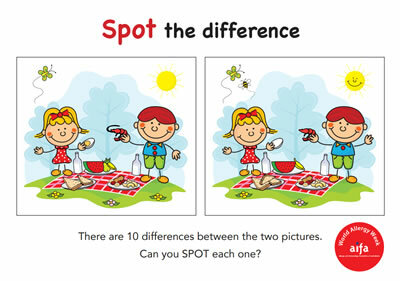 These include a 'spot the difference' game and a colouring in activity. 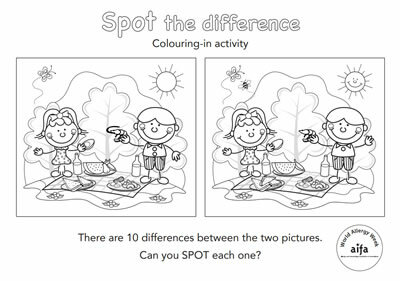 Please feel free to download and use these activities.